Arrival in Buenos Aires and transfer from the airport to the hotel. Afternoon at leisure. Breakfast. 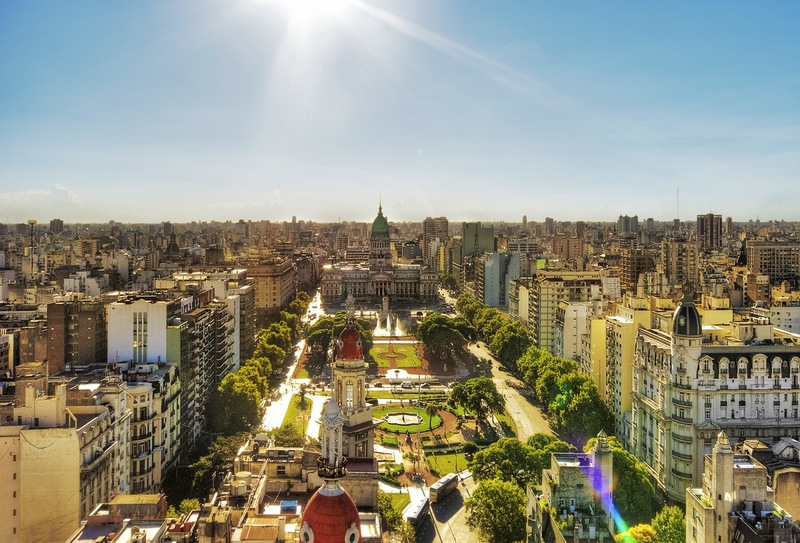 In the morning you will enjoy a half-day city tour of Buenos Aires. You will visit the National Congress, the ancient Council, the Metropolitan Cathedral, the “Casa Rosada”, magnificent areas of Recoleta and Palermo, with their beautiful parks and buildings, and the Colon Theatre, one of the 5 most important Opera theatres in the world. We will visit San Telmo area, one of the most antique districts of the city, as well as the Boca district, with its “caminito“- a picturesque pedestrian street. Finally, the tour will lead us to the recently recycled district of Puerto Madero. The tour also includes lunch at a local restaurant. Return to the hotel. Overnight. In the morning we will visit the northern area of Buenos Aires. We will do a half-day Tigre tour. On our way to Tigre area, we will be passing by the Presidential residence in Olivos district. We will continue the tour and reach San Isidro district where we will visit the train station, commercial mall and craft market. Once in Tigre area, we will get on a catamaran to enjoy a relaxing trip with a wonderful view of the Parana Delta, an area of subtropical rainforest made of a thousand islands and islets. In the evening, you will enjoy a Dinner and Tango Show. Return to the hotel. Overnight. Leisure day to explore the city on your own. After breakfast, transfer to local airport for a flight to Iguazu Falls. Upon arrival, you will be escorted to your hotel. Rest of the day free. Overnight. After breakfast, we will visit the Argentinean side of the falls. There are more than 270 waterfalls along the cliffs and islets, split into a half moon that is the shape of this beautiful geographical feature. The paths can be covered on foot or by a picturesque little train. The National Park has 2 circuits to be covered: one at a lower surface and the other at the upper one. In the lower circuit, one can reach the base of the falls, where the magnificence of their beauty can be appreciated. In the upper circuit, the tour is a bit more sedentary, where unique landscapes can be viewed from footbridges and viewpoints-an unforgettable experience. Return to the hotel in the afternoon. Breakfast at the hotel and day at leisure. Overnight. Transfer to the airport for your flight back home or to an on-going destination.